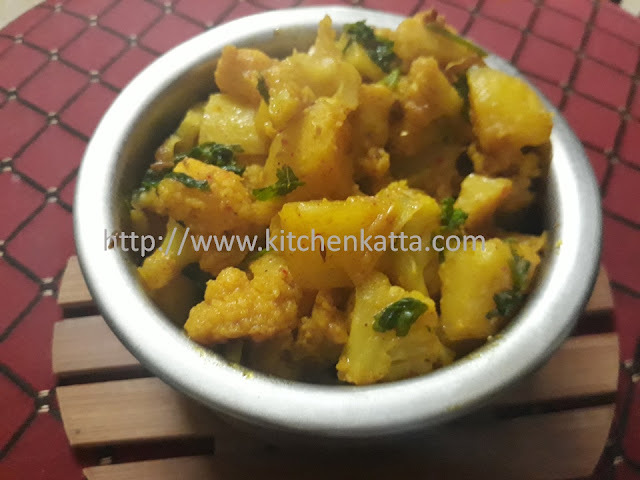 On a winter evening when you are tired already and looking for simple, quick yet flavorful recipe then this Lehsuni Aloo-Gobi is perfect which can be prepared with basic spices at home. 2. Heat oil, add jeera and as it crackles add cauliflower florets and potato. Thank you for visiting and subscribing...sure and the new recipe coming soon! !